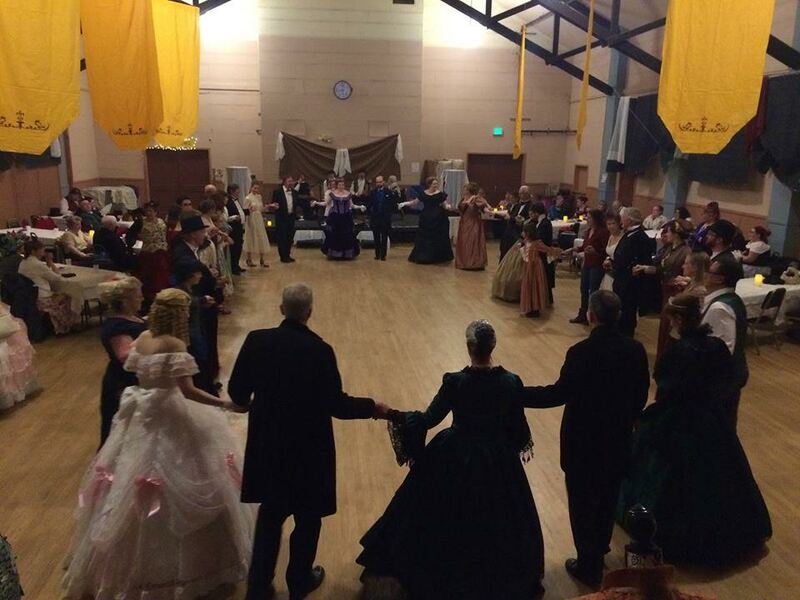 Considered the signature event of the Victorian Festival, the Victorian Festival Ball provides an opportunity for all Festival participants to don their elegant Victorian attire and dance to one of the region’s premiere vintage dance ensembles. Participants can show off their costuming, dance quadrilles, polkas, and even a waltz – the scandalous new dance of the period in which women are pulled into the arms of their male dance partner! The ballroom will be adorned with period elegance for the gala evening event. Both beginning and experienced dancers will revel in an evening of romantic music and elegant social dancing as they are transported back to the mid-19th century. A knowledgeable dance caller will make all the dance steps flow. Back in the early days of Port Townsend, down on the waterfront, far from any gentry in their bustles and toppers, the simpler folk would have gotten together to dance. Their dances were probably a bit more frisky. Call it square dance or contra dance, it was the dance of the people. And the beauty of it is you don’t have to worry about doing it right so long as you’re having fun. We’re hoping you’ll come out and join us for a turn or two. The evening’s entertainment features music by Broken Dreams with caller Jeanie Murphy for the contra dance. Watch for special guest performers. Broken dreams has been delighting music enthusiasts and dancers alike for years.